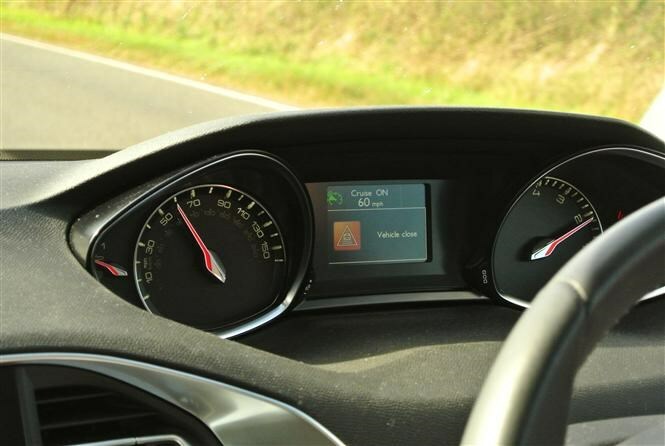 Main image caption The Peugeot 308's cruise control. Usually at least once a week, I’m paired up with another motoring journalist for the purpose of testing cars together. Once the discussion and debate about the new metal we’re in has subsided, conversation turns to a variety of topics, invariably of the dull variety (it’s about time this career was suitably de-glamorised). One such area of banal chit-chattery are the merits of adaptive cruise control. They’re those sort of chinwags where you feel you’re in a club of one, because thus far, I’ve yet to come across a colleague who actually likes the systems we’ve tried. While I won’t pretend they’re perfect, failsafe and always a veritable delight to use, I’m nevertheless a fan, appreciating how they help reduce the grinding trudge of motorway and dual-carriageway commuting. 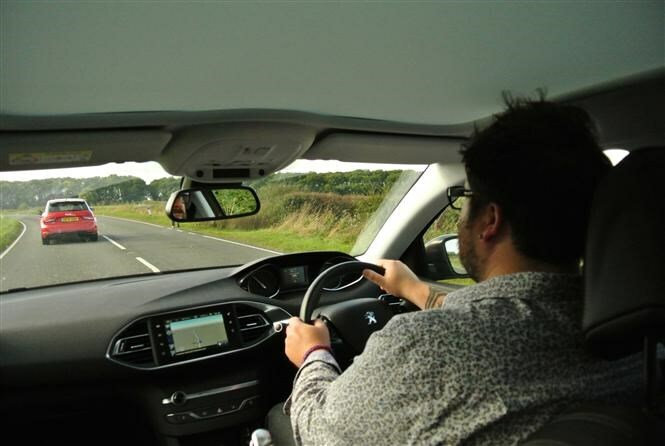 Unsurprisingly, when I found out my long-term Peugeot 308 would be in range-topping Feline trim and therefore equipped with an adaptive cruise control function, I was fist-pumping the air, albeit discreetly, obviously. Turns out my private joy was short-lived. As much as I’ve enjoyed the 308 package, its adaptive cruise makes me feel like joining the ranks of the naysayers. Simply put, it’s not as good as the systems fitted to rival manufacturers’ cars. The frustration is in the ‘adaptive’ part of the name, because on the 308 it’s only partially adaptive. 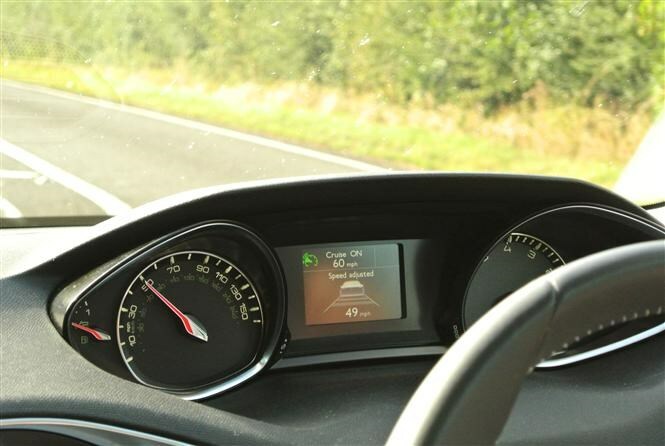 You operate the system in much the same manner as you would in other cars: turn on cruise control, set your desired speed and (somewhat cumbersomely via the touchscreen) set your chosen distance to the vehicle in front – from as low as a single-second gap to a more generous two-and-a-half second one. Electronic radars located at the top of the windscreen measure the distance to the next vehicle and adjust the 308’s speed accordingly, but only within the scope of lifting off or applying the throttle. Subsequently if a much slower vehicle happens to wander into your lane unannounced, as frequently happens on the A1 between Newark and Peterborough, the Peugeot can’t scrub off sufficient speed simply by engine braking alone. If you’re yet to sample adaptive cruise control then you’re forgiven for wondering why I’m bleating on, so let me refer back to that ‘brake’ word again. You see, competitors’ systems do brake the car, making them much more adaptive, allowing you to go from very low speeds, up to 70mph, and back to very low speeds again before you need to touch a pedal. Some, mainly with automatic transmissions, even take you to a complete standstill while the soles of your shoes remain resolutely facing the carpet. Rivals’ systems also allow you to change gear with the cruise control activated too. 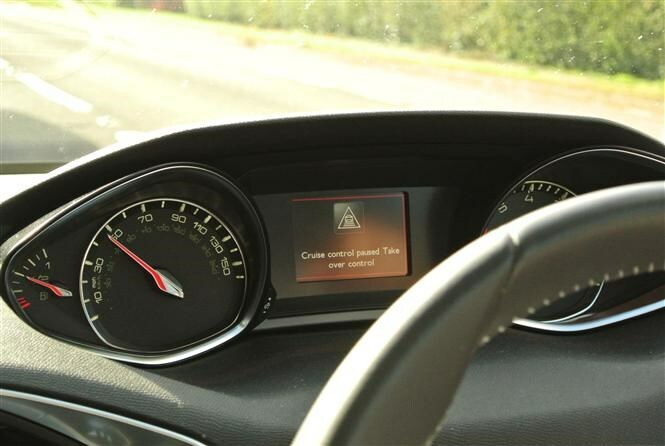 Imagine you’re sat at 30mph and increase your set speed to 50mph as you enter a higher speed zone – it’s likely that in that scenario the car’s gear indicator might suggest moving up a ratio or two to maximise fuel economy. 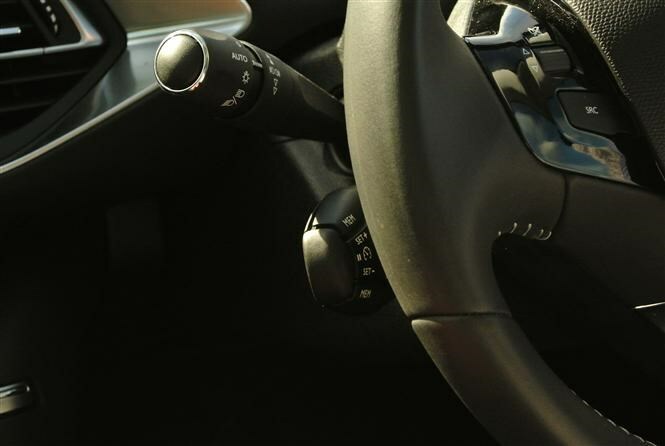 The Peugeot too suggests you might want to change up but as soon as you depress the clutch pedal, cruise control’s disengaged, requiring you to press ‘resume’ on the end of the steering column stalk after you’ve changed gear. It feels a bit clumsy and unnecessary. For a car bristling with useful, relevant technology to make driving simpler and more connected to the outside world, the 308’s adaptive cruise control feels behind the times. Would I prefer to have a normal cruise control function over this halfway house? I’m disappointed in myself for saying it, but yes I would. Just don’t let on to any of my colleagues. The Peugeot 308's cruise control. The Peugeot 308's cruise control. The Peugeot 308's cruise control. The Peugeot 308's cruise control. The Peugeot 308's cruise control.